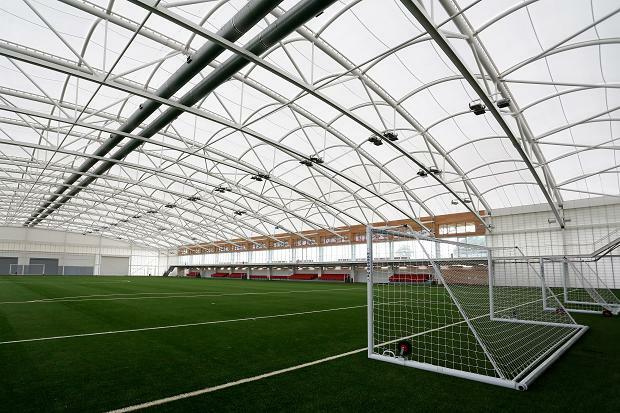 Can St George’s Park really change English football? 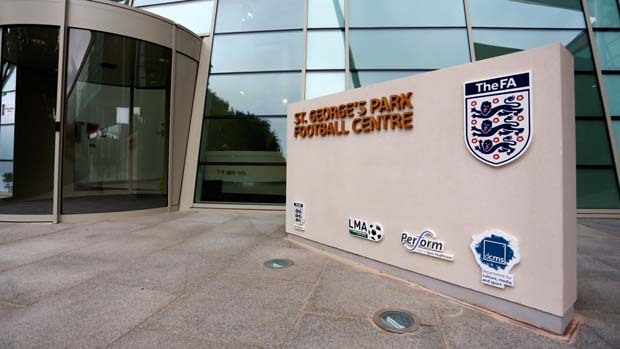 The St George’s Park Football Centre was finally unveiled to the world last week on October 9th by the FA and the Duke and Duchess of Cambridge. The centre has been over ten years in the making, costing around £100 million to build and is said to herald the arrival of a new age in English football; but can this new, state of the art football facility really revolutionise football in this country and bring the success that has eluded us since ’66? The FA have put a lot of time and money into the St George’s Park project and it has been a much needed investment for football in this country for some time. The hope is that this national football centre can begin to correct the problems that have long plagued English football and the England national teams for the past few decades now. The technical ability of English players (both future and current) has dramatically fallen behind those of our fellow European countries such as Spain, France and Germany and this has become more apparent as time has passed. One of the most telling moments that pinpointed England’s technical deficit was in the 2010 World Cup Last 16 Knockout game against a young and vibrant German side. The Germans completely demolished a lacklustre England team 4-1, we were slow on the ball and had little to no creativity going forward and were dominated from start to finish. After yet another disappointing tournament for the England Senior side; the whole of the football community around the country called for major changes to be made to the structure of English football. Big changes and advancements were required from Grass Roots level all the way up to the highest echelons of International football. However, much time seemed to pass with little change taking place amongst the FA or English football in general and before we knew it Euro 2012 was upon us. Although changes were made and some youth was added to the ranks, another tournament passed into memory as England crashed out to Italy on penalties in the Quarter Finals. The aim of the St George’s Park Football Academy is to help facilitate the much needed advancement and improvement amongst our young footballers, coaches and other much needed football staff at all levels. Thus, bringing a new generation of players and staff to fruition that can rival that of the current Spanish or German crop and furthermore, bring back the glory days of English football. However, although we now have a national football centre that can rival the Clairefontaine Football Academy that has operated so successfully in France since it opened in 1988, it is has in my opinion, come several decades too late. “The facilities are outstanding, but they are still just buildings. It is really about the philosophy and the talent of the people working here to bring that philosophy to life. “We know that the Future Game, The FA’s Technical Guide of how the game should be played in the future, is a brilliant resource. “But embedding that into the entire team here and into St. George’s Park as a place to evangelise those key messages, I think, is going to be key. Comments taken from The FA website. I think the most important point here is that it’s not just about one new and shiny facility, but about an overall philosophy around how the game should played, coached and developed overtime. It is vitally important that we move away from the ‘Win at all costs’ mentality that has been prevalent over the past few decades at school boy level and allow youngsters to play for the fun and enjoyment of playing. Small sided games will be just as important for youngsters beginning their football lives, instead of moving from 7-a-side to 11-a-side at the age of 11 & 12 where the pitches are just too big for young boys and girls to play on successfully and enjoy the game. Therefore, a potential model would be to move from 5-a-side below the age of 11 and then to 7-a-side until the age of 14 before possibly moving to 9-a-side and 11-a-side games. Smaller games mean a greater concentration on individual skill, touch and technique as well as ‘pass and move’ football, moving away from the ‘Kick and run’ philosophy of old. This has been a long standing, well established debate regarding the size of the games but it has taken a long time for changes to become apparent at the Participation level for the young kids. The old infrastructure is slowly beginning to change and Sky Sports ran a very interesting Special Report entitled ‘The Burton Blueprint’ which looked at the coaching of children at the Grass Roots level of the game. The report was very interesting indeed as it explored a case study of Musselburgh Football Club in Scotland who are implementing such a strategy to coach the young children in their surrounding community with great success so far. However, more examples like this will be needed up and down the country if improvements are to be made in the coaching and playing standards across the board. So, to come back to my original question; Can St George’s Park really change English football? On its own, no, it cannot change a philosophy that has long been engrained in the culture of the English game nor the entire ethos of a nation. If the new football philosophy is the right one (as it seems to be) and supported financially by the FA, then I have no doubt that St Georges Park can be the figurehead of a football revolution in England. I think it is vitally important that smaller facilities, similar to St George’s Park are implemented in the various regions around the country to fully maximise the potential of the new and well overdue change in philosophy. However, as I have said, it will take more than just one or two elite facilities to bring about the desired effect on England’s football infrastructure. Finally, patience will be a virtue as it will take time to see any benefits from these programs, but maybe, just maybe, this can be the start of big changes.